FRP systems which are a novel method in strengthening, rehabilitation and retrofitting of structures, are concerned here. FRP materials is the abbreviation for the phrase Fiber Reinforced Plastics or polymers. FRP is a composite material made of a polymer matrix reinforced with fibers. FRP consists of two components (FRP resin) and (FRP fiber) and has different applications in different industries and buildings. The most advanced application of these materials in retrofitting structures is to repair, strengthen and retrofit concrete structures and in the composite industry to manufacture various industrial components. FRP fibers can increase the strength of concrete by placing and installing on concrete surfaces such as slabs, beams, columns, concrete walls and concrete foundation. this fiber can be applicable In buildings with different application (Commercial , Educational , Government , Residential), heavy machinery and equipment support, marine structure ( Dams and Canals). In addition, FRP wrapping can be used to refine engineering infrastructure such as road-railway bridges, water and chemical tank, chimneys, cooling towers and silos. Due to the increasing need to use composites to achieve the desired properties and functions, the use of composite materials has grown significantly in the building industry and is rapidly developing at a fast pace. The first research in this field began in the early 1980s. However, the 1990 earthquakes in California and Kobe, Japan, have been a major and important factor for the comprehensive study for usage of polymer composites made of FRP fibers to reinforce and rebuild concrete and masonry structures in earthquake-prone areas. These studies, which extent and scope are increasing day by day, has provided extensive grounds for the use of these composites in structures that need to be strengthened, rehabilitant or repair. Currently Many structural engineers and researchers around the world are studying, and testing reinforcement of structures with FRP composites. These factors are very effective in tensile, bending, shear strength, fatigue and electrical resistance. Also, these factors are very important in the product’s price as a result it have straight effect on economic affairs. FRP, in a simple word, is an abbreviation for Fiber-Reinforced Polymer or fiber-reinforced plastic. FRP properties have qualified them for different applications in construction industry and generally, in civil engineering. The most common use of FRP products is the rehabilitation and reinforcement of concrete structures. FRP composites can increase the strength of concrete by placing and installing them on concrete surfaces such as slabs, beams, columns, concrete walls and concrete foundation. The wide range of FRP applications includes residential, commercial, and industrial buildings and offices, heavy machinery and heavy equipment as well as water and sea structures such as dams and canals. In addition, FRP products can be used to repair engineering infrastructure such as road and rail bridges, water and chemical reservoirs, silos, and cooling towers. FRP composite structures is one other FRP application. Therefore, FRP composite in civil engineering, has been a fairly familiar term in FRP industry. Heat transfer coefficient of fibers and FRP resin. The durability of FRP composites along with high strength of these materials is the main reason for their application in reinforcing and strengthening structures. In addition to the resistance parameter of fiber-reinforced polymers, the durability parameter of FRP materials is very important. The environment plays a decisive role in changing the FRP properties. Matrix and fibers may be affected by humidity, temperature, sunlight, and ultraviolet (UV) radiation, as well as the presence of some decomposing chemicals such as salts and alkalis. Also, repetitive temperature variations may result in changes in the matrix and FRP fibers in the form of frosts and melting cycles. On the other hand, under repeated mechanical loading conditions, occurrence of fatigue is possible in FRP composite. Also, constant loads, loaded over a specified time in a constant manner may lead to a creep problem. The durability of FRP composites is affected by all mentioned issues. In the use of glass fiber-reinforced polymer in an alkaline environment, it is essential to use high-alkali glass fibers because the dissolved alkaline reacts with the glass fiber and produces silica gel. This point is especially important in the use of glass fiber-reinforced polymers as reinforcing rebars. Today, the interest in using FRP rebars in concrete, as an alternate for steel rebars, which are corrode with frozen salts, as well as in structures adjacent to the water has increased. However, in the process of cement hydration, a high-alkaline water dissolve (pH> 12) is created. This intense alkaline dissolve can affect glass fibers and reduce the durability of glass-fiber FRP meshes. Cheap and often used E-glass, may not have sufficient resistance to alkali attack. The use of vinyl ester resin, by creating an effective barrier, somewhat reduces the attack of alkali. Resistance to alkali attack can be improved by designing a member of the FRP composite to experience less stress levels. It can also be used to improve the durability of glass fiber with a very good resistance to alkali. Carbon fiber has high heat resistance, which makes them categorized as non-explosive fibers. Also, their lightness and high resistance have resulted in widespread use of them in the composite industry and seismic retrofitting of structures. One of the most important advantages of carbon fiber, along with their light weight, is the high tensile strength of these fibers. A carbon fiber-reinforced polymer (CFRP) refers to a type of durable and strong material that is composed of linked-chain carbon atoms in a matrix structure of polymer resin. These polymers are highly corrosion resistant. Carbon fiber-reinforced polymers (CFRPs) is a combination of extremely thin carbon fibers of 5-10µm in diameter, embedded in polyester resin. CFRP wraps consist of epoxy, polyester, nylon and vinyl material. more often in order to provide strength and rigidity in CFRP structure, glass or aluminum are added. 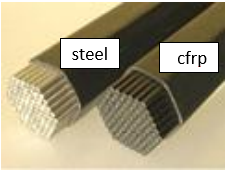 The comparison between CFRP and conventional steel shows CFRP have higher modulus of elasticity and higher strength. Moreover, it provides the flexural, shear strength and deflection improvement of structural members. CFRP fabric consists of carbon fiber which obtained from the heating of excellent materials. predominant volume of CFRP fabric is carbon which are formed in the atmosphere of inert gas. CFRP fabric at least contains 90% carbon and is obtained from specially controlled fiber pyrolysis. CFRP fabric are non-water soluble and odorless. 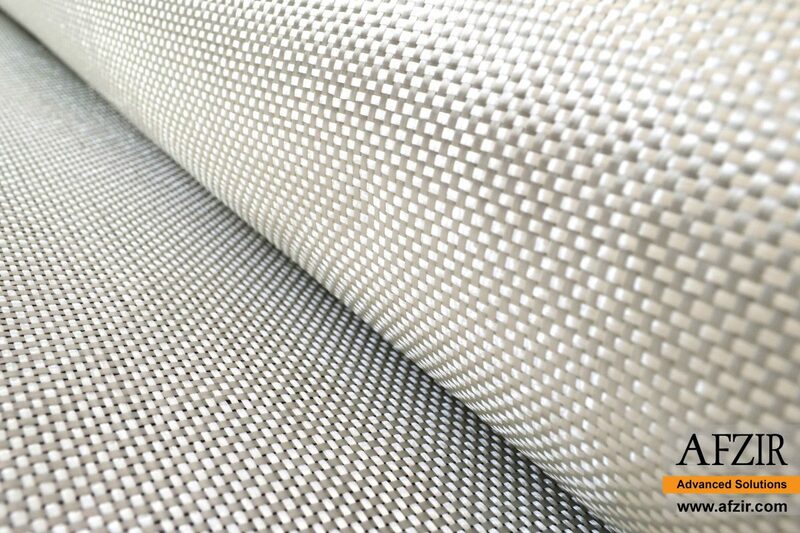 Carbon fabrics are offered in different elasticity modulus and tensile strengths and with unidirectional and bi-directional fiber fabrics by Afzir Company to produce composite materials of various industries and to reinforce various concrete structures. 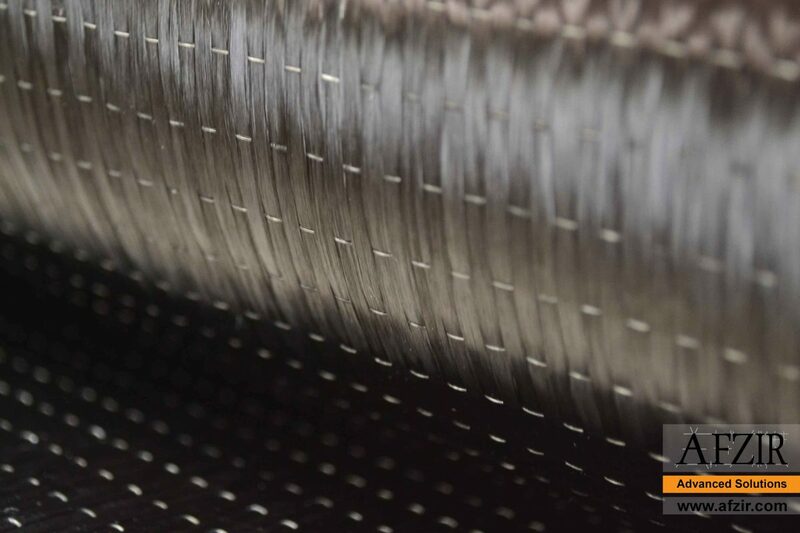 According to the needs of different industries, carbon fibers are offered in a wide range of fiber types from 3K to 50KK, with different weights and widths. CFRP wires are made by Pultrusion procedure, method’s description is referred later. The process aims at producing practical and flexible structural material however desired features of carbon is remained. Due to corrosion resistance of CFRP wires, addition of any anti-corrosion material or grout it is not required. However, the wires protection against wind erosion and the attack of ultraviolet radiation is still required, because combination of these two factors lead to wires degradation Figure below shows rolls of CFRP and steel wires. As figure below illustrates, CFRP cables consist of bundled parallel wires. According to corrosion resistant characteristic of CFRP wires that mentioned above, usage of any non-corrosive compounds is not necessary in CFRP cables. However, as mentioned above, the cable protection against wind erosion and the attack of ultraviolet radiation is still required, because combination of these two factors lead to surface degradation. 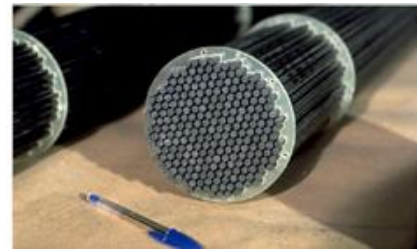 Remarkable feature of carbon fiber reinforced polymer cables is their high strength and stiffness. They are appropriate to use under fatigue loading due to non-corroding, non-relaxing, stress-free attributes. Besides, their lightweight quality make them adorable in order implementation of long stays and very long-span bridges. post- and pre-tensioning steel stay cables, require maintenance costs after passing 30 years. Consequently, steel hanger cables applied in suspension bridges need to be replaced all over the world. Today’s researches indicate that CFRP is the best available material for such cables. Table below compares CFRP cables with steel cables to prove it technically. CFRP features are based on the ratio of fiber to polymer, the types of added materials and the resin structure. Fiberglass fibers consist of glass fibers, with warps of about 10 microns in thickness. The high tensile and chemical strength of the fibers has led to increasing use of them in the manufacture of parts for the aerospace, automotive, marine and building industries, furniture equipment and sports equipment. FRP fiber is the most common product for retrofitting, reinforcing and improving various structures in the building industry, and also for protecting various components in corrosive and chemical environments. FRP lining (isolating metal tubes and chemical protection in corrosive environments with pH Very high or low) are also widely used. Since industrial revolution, steel has a huge success story among entire constructional materials. However, it also has its own disadvantages including low corrosion resistance which lead to limited lifetime. It makes engineers to look for alternative solutions. Fiber composites are proper alternative which have been used since the 1980’s in various industries (e.g. automobile, aircraft ships and construction) successfully. Glass Fiber Reinforced Plastics (GFRP) is one of the well-known composites with its desirable physical properties and remarkable advantages compared to steel. Extensive development and certified testing on GFRP proved their interesting applications to use as concrete reinforcement. The GFRP glass fiber offered by Afzir company is the most popular and most consumable fiber used in the composite industry. The price of glass fiber in comparison with carbon and aramid fibers is very low, which has led to more glass fiber sales in recent years. The high selling value of the glass fiber makes it available for various types. Glass fiber is a good electrical insulator or, in other words, conductive glass fiber. Usage of GFRP Rebar have beneficial positive point such as economy quality and technology of construction. Also their installation is easy and have a high tensile strength and strong corrosion, chemicals and chlorides resistance. It is highly suitable for applications that have electric, magnetic sensitivity or require thermal conductivity. GFRP Rebar reduced concrete cover and increase the life of the construction elements. GFRP Rebar of GFRP Technologies creates a reinforcement technology. steel, epoxy coated or galvanized steel. It’s even less costly than black steel in many applications. GFRP can be used to refuse crack propagation and surface reinforcement. Reduction in GFRP Rebar diameter due to significant higher tensile strength. in comparison to steel rebar. GFRP Rebar Broder bars spacing due to significant higher tensile strength in comparison to steel rebar. GFRP Rebar weight is approximately 10% of steel with equivalent diameter and length. concrete cover diameter can be reduced to a minimum as a result of corrosion resistance of GFRP Rebar, also this feature lead to cost-efficiency. In many aspects, usage of this material is cheaper than steel. Resistant at corrosive environment significantly expand the overall lifespan. GFRP are not a conductor, therefore the rebar doesn’t have any reaction to electric or magnetic fields. It will be practical in structures with high voltage appliances. The use of FRP composites in refinement and retrofitting of reinforced concrete structures has experienced a remarkable increase in the past years. The main reason for this is the need to extend the life of the infrastructure and improve the infrastructure. The main features of fiber-reinforced polymers are summarized in corrosion resistance, easy implementation at the installation site and their lightness. Another factor in expanding the use of FRP materials is the decline of prices of this materials. Perhaps decades ago, the use of FRP composites seemed to be a luxury and expensive method, but now the price of these materials has fallen far. After World War II, FRP material was used to build electrical equipment due to its high tensile strength and high electrical non-conductivity. Today, its various applications in household products, such as ladders, ventilation ducts and rails, are clearly remarkable. In general, it can be said that FRP materials have many uses in various fields, such as automotive, electronics, medicine, aerospace and buildings. Restoration and strengthening of important structures such as hospitals, antiquities, etc. In general, the commercial definition of aramid is: a product in which a fiber material is formed that has a long chain of synthetic polyamide, in which at least 85% of aramid bonds are directly attached to two aromatic rings. The aromatic polyamide (called Aramaid) was first introduced in the early 1960s by the Dupont company and branded by the name of Nomex. The main feature of this product was high resistance to heat. This product was used to provide protective coatings, air purification, thermal and electrical insulation and as a replacement for asbestos. The director of research and development at DuPont on Nomex, was Wilhelm Swiney, a Scottish scientist. Further research on aramides at the Dupont Company by a Polish chemist, Stephanie Kooleck, led to the creation of the Kraft Para-Aramide in 1973. At the moment, the Kevlar brand is known as the Aramid fiber in the industry. Also known as AFRP fibers. Nowadays, various Kevlar fibers are used in the industry. Kevlar 49 is used for strengthening and reinforcement of concrete. The Kevlar 29, which has half of modulus of Elasticity of Kevlar 49 is used for applications requiring a very high impact resistance (such as bulletproof vests). Kevlar fiber is lighter than carbon fiber and glass fiber and has the highest tensile strength among them. Aramid fiber is about 43% lighter than glass fibers and 20% lighter than carbon fiber. The low weight and high tensile strength of these fibers produce a stiff and impact-resistant structure. Bulletproof vest is one of the most successful applications of aramid fiber. FRP laminate are a few millimeters thick FRP sheets. These sheets are bonded to concrete surfaces with strong adhesives. FRP sheets are used to repair and reinforce damaged structures (caused by earthquakes or corroded by ionized waters). From a form shape point of view, FRP sheets could be either of a cloth-type shape which is easily form-able or of a panel-type shape which is not form-able and can be found in different thicknesses and widths. As mentioned previously, FRP wraps are fabric materials which placed in one or two direction. The fiber can be made of carbon or glass, their woven fibers are known as CFRP and GFRP respectively. Products like flexible FRP rods, are used in cable and prestressed concrete structures in corrosive and off-shore environments. These products are also used in pre-tensioned components adjacent to the water. Steel rebars are briefly protected against corrosion by concrete’s alkaline environment, but there are many structures that are adjacent to aggressive environments, such as marine structures, bridges and parking lots that are exposed to aggressive agents. Combination of moisture, increased temperature and chlorine environment, Reduce the alkaline properties of the concrete and lead to corrosion in steel rebars. For this reason, nowadays, FRP-made rebars are used in such environments. Due to this fact that FRP bars mechanical behavior is not ductile, the use of these bars is limited to structures whose corrosion or electromagnetic problems is their most important problem. Steel bars have roughly homogeneous behavior, while FRP rebars disturb this property of concrete. Unlike steel materials, FRP materials exhibit linear elastic behavior. FRP Composite meshes are FRP rods that are wooven in two directions or three directions. An example of these products is the Nefmac composite mesh, which is made from carbon fiber, glass, or aramid, and resin and nylesters, which is a suitable material for reinforcing concrete. FRP materials are also produced in the form of structural profiles in the shape of I, T, U shapes and angles, by Pultrusion method. In this method, bundles of FRP fibers are coated with the resin after passing through a mold and create a constant cross-sectional profile. The main advantages of the Pultrusion method are its multipurpose and its various applications in various industries. In other words, simply by changing the shape of the machine, in addition to the products used in the building industry, as well as the types of reinforcements, various products in various fields, including textile carriage belts, rails, freeway protections, window and door frameworks, I-shaped cross beams , Corners and so on could be obtained. The service life of this products is very long and the speed of the production of a pultruted product is relatively high. In terms of price, despite the fact that a pultruted beam has a higher price than a similar iron case, features such as high corrosion and earthquake resistance and durability can compensate the higher initial price. In general use, such as the construction of structures, if there is a need for resistance to corrosion and earthquakes, the use of pultruted beams can also be economically justified. Therefore, such products can be considered as a very good alternative for steel components and structures. The fibers or continuous filaments are wound around the cylinders as parallel strips and fiber strands are twisted around it. During this time, the matrix of polystyrene ester or epoxy resin is blown into the rotating cylinder and combined with the fibers. All this process is controlled by computer to obtain a good quality FRP wrap. In this method, laminates or covering sheets are constructed with certain cross section and length. During the stripping of the fiber, the matrix, which is usually polyester or vinyl ester, is added to the fiber with electric heat and aim of hot oil and there is a radio frequency preheating chamber to control the thickness at the time of proceeding. In this method, the air weight between the FRP layers prevents it’s forming, so pressurized air must be removed to produce FRP or laminate. One or several layers of different thickness are placed on the film or expandable membrane, then pressed until the air between the laminate is removed and the resin matrix heated to one of the existing methods and injected into the fiber layer. The durability of FRP composites along with high strength of these materials is the main reason for their application in reinforcing and strengthening structures. Along resistance parameter, the durability parameter of FRP materials is very important. The environment plays a decisive role in changing the properties of FRPs. Matrix and fibers may be affected by humidity, temperature, sunlight, and ultraviolet (UV) radiation, Ozone as well as the presence of some decomposing chemicals such as salts and alkalis. Also, repetitive temperature variations may result in changes in the matrix and FRP fibers in the form of freezing and melting cycles. On the other hand, under mechanical loading conditions, repetitive loads may cause fatigue. Also, applying loads during specified time in a constant manner may lead to a creep problem. A set of all the issues mentioned above affects the durability of FRP composites. The role of polymer matrix and its changes is one of the important aspects that should be taken into consideration in durability issue of composites. 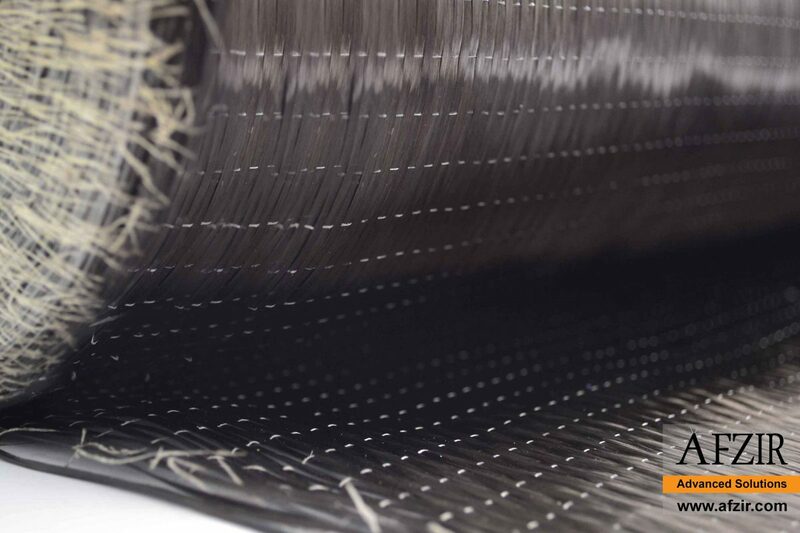 The primary role of the matrix in the composite is the transfer of tension between the fibers, protecting the surface of the fiber against mechanical wearing away and creating barrier for inappropriate environment. Also, the matrix plays an important role in the transmission of shear stress on the composite sheet. Therefore, if the polymer matrix changes its properties with time, then special attention should be paid. It is perfectly normal for all polymers to have an extremely slow changes in their chemical (molecular) structure. This change is controlled by the environment and is mainly controlled by temperature and humidity. This process is called Aging. The effects of aging on most conventional thermosetting composites are milder compared with thermoplastic composites. As a result of physical aging, some polymers may become harder and more brittle. The result of this issue is affection on the dominant properties of the matrix, including the shear behavior of the composite. However, in most cases, these effects are not critical because ultimately the process of transferring the main load through the fibers occurs and the effects of aging on fibers is ultra-slight. Many composite with polymer matrix in presence of wet environments, with quick absorption of surface humidity and its distribution, absorb humidity to own self. Usually, the percentage of humidity first increases over time and eventually reaches the saturation point (balance) after several days of exposure to the wet environment. Composite arrival time to saturation point depends on the thickness of the composite and the humidity content of the environment. Composite drying can reverse this trend, but it may not lead to complete initial properties. Composite water absorption follows the Fick’s Law and is proportional to time squared. On the other hand, the exact speed of moisture absorption depends on factors such as amount of porosity, type of fiber, type of resin, direction and structure of the fiber, temperature, stress level, and the presence of small crack. We will discuss the effects of humidity on composite components. Water absorption by the resin sometimes may change some resin properties. Such changes can occur mainly at temperatures above 120 ° C, and as a result the composite toughness can be greatly reduced. However, this situation in composites used in civil engineering and especially in structures adjacent to water, rarely accrue and is not that much considerable, humidity absorption has a beneficial effect on the composite. Humidity absorption causes resin swelling, which in turn reduces residual stresses between matrix and the fibers caused by the contraction during the composite curing. This causes the stresses realizing between the matrix and the fibers and increases the load capacity. On the other hand, it has been reported that in improperly constructed composites, due to the presence of a cavity at the interface between the fibers and the matrix or in the composite layers, water penetrates into the cavities or at the interface between the fibers and the matrix and lead to resin caverns which can be eliminated by selecting appropriate resin materials or correct preparation of the fiber surface, as well as improving the construction techniques. The general belief is that glass fibers will be damaged if they located next to the water for long time. The reason is that the glass is made of silica in which alkali metal oxides are spread. Alkali metal oxides are both water absorbent and hydrolysable. However, in most cases, civil engineering uses E-glass and S-glass which only have a small amount of alkali metal oxides, and as a result are resistant to the dangers of contact with water. Generally, composites made of glass fibers should be well constructed to prevent excessive water penetration, because the presence of water at the glass fiber surface will reduce their surface energy, which can increase crack growth. On the other hand, aramid fibers can also absorb considerable amounts of water, which can inflate and inflame them. However, most fibers are protected with a coating, which has good matrix bonding and also protects water absorption. It should be noted that numerous studies show that humidity does not have any undesirable effects on carbon fibers. Saturated water composites typically show a slightly ductility increase due to the matrix softening. This can be considered as a useful aspect of water absorption in polymer composites. Also, the limited loss of resistance and modulus of elasticity can occur in saturated water composites. Such variations are usually reversible and therefore, as soon as the composite is dried, the effect of the lost properties may be recouped again It’s worth noting that increasing hydrostatic pressure (for example, when composites are used underwater or at the bottom of the sea), it does not necessarily result in more water absorbed by the composite and its mechanical properties. Thus, it is expected that most of the underlying polymer structures will have a high durability. In fact, under hydrostatic pressure, water absorption decreases slightly due to the closure of the micro cracks and interfacial wastage. It should be noted that water absorption affects the insulation properties of composites. The presence of free water in the microstructures can greatly reduce the insulation properties of the composite. The temperature plays a decisive role in the water absorption mechanism of the composites and its subsequent irreversible effects. The temperature affects the distribution of water, its amount and the speed of absorption. With increasing temperature, the amount and speed of water absorption increases rapidly. Research has shown that the waste from composite placement in boiling water for several hours is equivalent to the separation of composite components and it will be crack if place at 50 ° C water for 200 days. At normal room temperature, composite specimens did not show any damage. 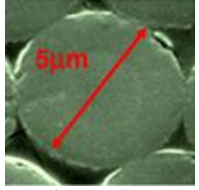 Such observations have led to the development of techniques for accelerated experiments on aging of composites. In the use of glass fiber composites in an alkaline environment, it is essential to use glass fibers with high-alkali strength, because the alkaline lotion reacts with the glass fiber and produces silica tensional gel. This point is especially important in the usage of glass fiber composites as reinforced bars. Today, the interest in using Glass FRP bars at concrete surfaces has grown as a successor to steel bars that are corroded with salts, as well as in structures adjacent next to the water. However, in the process of cement hydration, a high-alkaline water lotion (pH> 12) is created. This intense alkaline lotion can affect glass fibers and reduce the durability of glass-fiber FRP bars. E-glass FRP, often are cheap and may not have sufficient resistance to alkali attack. The usage of vinyl ester resin, reduces the attack of alkali partly by creating an effective barrier. Resistance to alkali attack can be improved by designing a structural member to withstand less stress levels. Also in order to improve the durability, glass fiber with a very good resistance to alkali. 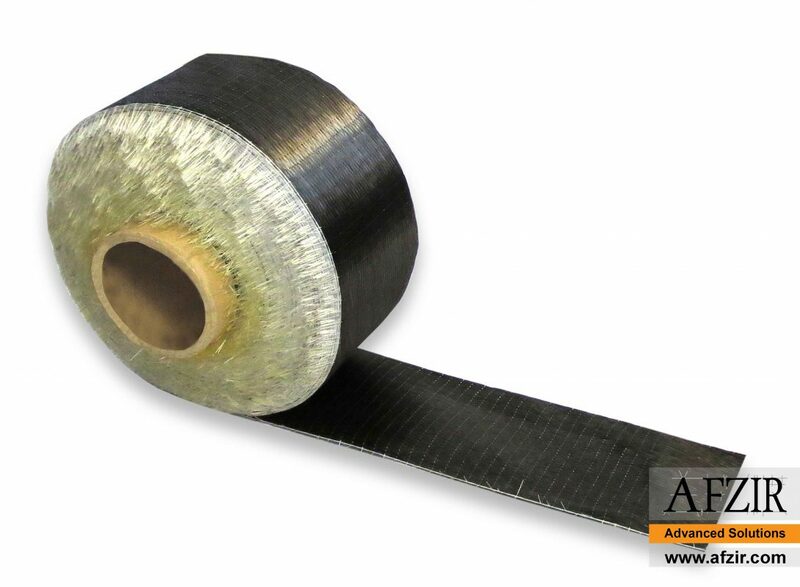 It is noticeable that FRP wrap made of Carbon fiber and Aramid do not show any weakness against alkaline environments. Intense temperature changes on composites have several major effects. Most materials expand with temperature increasing. In FRP composites with polymer matrix, the matrix thermal expansion coefficient is generally higher than the thermal expansion coefficient of the fiber. Temperature Reduction due to cooling during the manufacturing phase or composite performance at low-temperature conditions, will cause the matrix shrinkage. On the other hand, the contraction of the matrix with the resistance of the relatively hard fibers adjacent to the matrix is ​​encountered; On the other hand, the contraction faced of the matrix with rather high-resistance fibers which adjacent next to the matrix; this poses a residual stress in the microstructure of the material. The magnitude of the residual stresses will be proportion to the temperature difference in the conditions of the curing and the conditions of the composite performance. Unless in an incredibly cold environment, created residual tensions will not be noticeable. Places with high temperature changes (such as North and South pole), may face with large residual stresses that result in the formation of micro cracks in the material. Such micro cracks, reduce the composite toughness and increase the permeability and water penetration through the matrix and fiber boundary layer, thus participating in decomposition process of composite. Another important influence of lower temperatures is the corresponding change in the strength and stiffness of the matrix. Most matrix resin materials become harder and stronger by cooling. The effects of freezing and melting on resistance at a common temperature range (-20 ° C to +30° C) is not important except condition that the composite has a significant percentage of holes with filled water which connected to each other. Composites made of fiberglass, which are commonly available, contain about 0.4% of the cavity, which does not allow significant freezing and does not lead to any serious damage. However, thermal cycles at low temperatures have other effects on composites. Residual stresses in composite materials are created due to differences in thermal expansion coefficients of components in the microstructure of the material. In very low temperature conditions, such stresses can lead to the formation of microstructures in the matrix resin or at the interface between the resin and the fibers. The variations in micro crack growth in the usual range of operating temperatures (-20 ° C to +30° C) are usually minor or marginal; however, under severe cyclic conditions (for example between -60 ° C to +60° C) micro cracks grow and connect to each other it leads to the formation of a crack in the matrix and its propagation in the matrix or around the interface of the matrix and the fiber. The number and size of such cracks have grown under long-term thermal cycles. which can lead to a deterioration in toughness or deterioration of other properties dependent on matrix. Also it has been observed that, at intensive low temperatures, the tensile strength of all polymer composites in the direction of the fiber, tends to decrease, although tensile strengths increase in other directions including orthogonal one. Such results are justified by hardening of the polymer matrix at low temperatures. On the other hand, the thermal cycles between maximum and minimum temperature for long time result in loss of strength and toughness in all directions. Such changes are important in the characteristics and structure of composites are designed for cold regions. The effect of ultraviolet light on polymer compounds is well known. Under long-term exposure of sunlight, the matrix may be hard or light. This can generally be controlled by applying a UV-resistant coating on the composite. In this regard, one of the most significant issues, is the deterioration of reinforcing polymeric fibers, such as Aramid. For example, 50% of Aramid resistance made of thin fibers drop, after exposure to Florida sunlight for five weeks. therefore, in thicker composites, the effect of this deterioration on the structural properties is negligible. In cases where surface properties are also important, it is necessary to consider some considerations to reduce the surface cracking under the sun’s rays. The usage of FRP composites in strengthening and retrofitting of reinforced concrete structures has increased in the past years. The main reason for this is the necessity to extend exploitation life and improvement of infrastructures. The main features of polymer composites can be corrosion resistance, easy implementation at installation site and its light-weight. Another factor in expanding usage of FRP materials is their declined cost. Perhaps one decade ago, usage of FRP composites seemed to be a luxury and expensive way, but now the price of these materials has fallen far below. After World War II, FRP was used to build electrical equipment due to its high tensile strength and high electrical insulation. Today, its various applications in household products, such as ladders, ventilation ducts and rails, are clearly remarkable. In general, it can be said that FRP has many uses in various fields, such as automobile manufacturing, electronics, medicine, aerospace and building construction. Many reinforced concrete structures in the world have been damaged by contact with sulfates, chlorides and other corrosive agents. This has caused a lot of cost for repair, rehabilitation or replacement of damaged structures around the world. This problem and its consequences are sometimes considered not only as an engineering issue, but also as a serious social issue. Repair and replacement of damaged concrete structures cost millions of dollars around the world. In United States, more than 40% of bridges in highways require replacement or rehabilitation. Cost of parking’s repairing or rehabilitation in Canada is estimated at $ 4-6 billion. The cost of repairing highway bridges in the United States is estimated at nearly $ 50 billion. In the United States rehabilitation of all reinforced concrete structure affected by corrosion, $ 1-3 trillion budget is needed. A conventional reinforced concrete structure that reinforced by steel bars will lose some of its resistance if it has been in this condition for long time. In addition, the steel that oxidize inside the concrete, pressed the concrete around it and lead to crushing it and pouring the concrete crust. So far, techniques for prevention of steel corrosion in reinforced concrete have been developed and used. In this case, epoxy coating of reinforcement bars, polymer injection into concrete surfaces can be mentioned. However, each of these methods has been successful to some extent and only in some areas. For this reason, in order to maintain the bar corrosion, researchers and specialists of the reinforced concrete has focused on the complete steel removal and its replacement with corrosion resistant materials. FRP composites are highly resistant to corrosion, as a result they are suitable alternative for steel in reinforced concrete, especially in coastal and marine structures. It should be noted that although the main advantage of FRP is their resistance to corrosion, the other properties of FRP composites, such as tensile strength (up to 7 times more than steel), acceptable modulus of elasticity, low weight, good resistance against fatigue and creep, magnetic waves insulation and good bonding with concrete, make them more applicable, although some problems such as bending and their linear behavior, have made some problems in terms of their implementation.